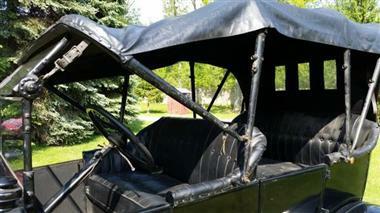 1917 Ford Model T in Dowagiac, MI for sale. 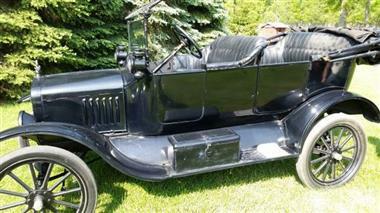 1917 Ford Model T Touring (MI) - $22,000Black exterior color with black interior. Pedal Foot system. Original engine. All original, numbers matching, well maintained and garage kept. Seller owned for 20 years.This vehicle is located in Dowagiac MI 49047Please call Jerry @ 269-208-6005 OR 269-782-7129 to see this car. 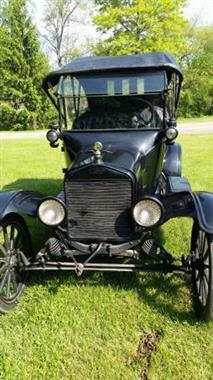 This vehicle is priced $629 more than the Average Market Price of $21,371 for a 1917 Ford Model T. This is a Fair Deal as it's priced 3.0 % above market avg. The Pie chart below shows the number of ads within different price ranges.